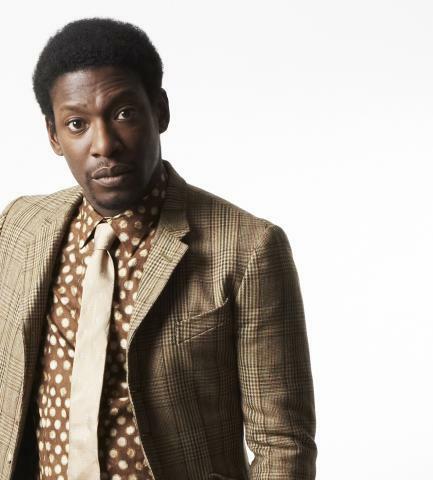 We're pleased to announce Roots Manuva as this year's headliner for the Vale Earth Fair. Roots Manuva aka Rodney Smith has had an illustrious career so far, including picking up the Mobo Award for Best Hip Hop Act in 1999,a Mercury Prize nomination for his groundbreaking 2002 album Run Come Save Me, and starring as a guest vocalist on the Gorillaz number one album Demon Days and its subsequent tour. Following the release of his latest album 4everevolution, widely regarded as his finest work to date, Roots Manuva has just returned from touring the globe with his band, and is playing a series of festival dates in the UK including the Vale Earth Fair, which takes place at the Vale Castle on Sunday 26th August. Best known for his 2001 track Witness, voted greatest UK Hip Hop tune of all time, his back catalogue now spans eight studio LPs, a number of singles, and collaborations with a host of renowned artists including Leftfield, DJ Shadow, Coldcut, and more recently, reggae pioneer Lee ‘Scratch’ Perry. Other acts already confirmed for the Vale Earth Fair include afro jazz ensemble Ariya Astrobeat Arkestra and mod super group Speakeasy, featuring Guernsey’s own Mark Le Gallez on lead vocals, as well as a number of local and Jersey acts. “We’re just putting the final touches to the line-up with other acts to be announced soon” said Rob Roussel, “but its shaping up to be a classic”.